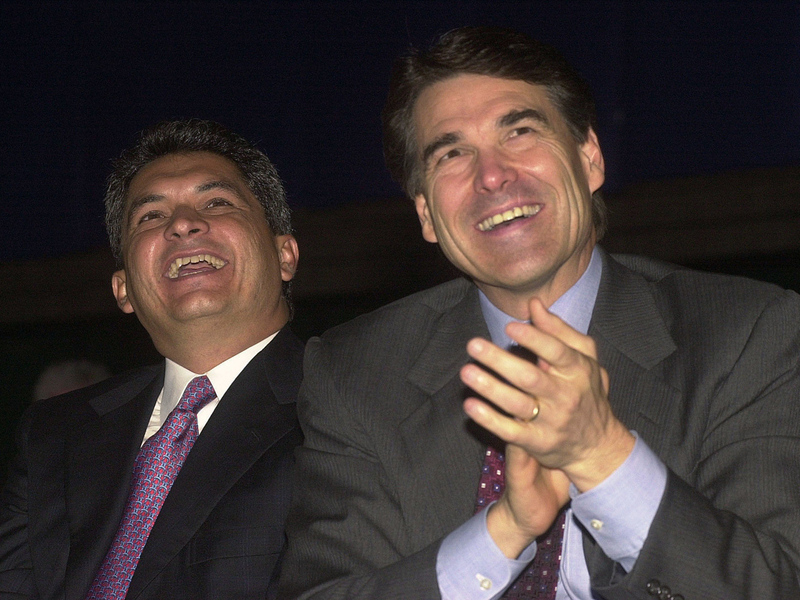 (AP) McALLEN, Texas - The former Mexican state governor whom U.S. prosecutors accuse of investing drug cartel bribes worth millions of dollars in Texas real estate does not own the properties in question and is innocent of the allegations, his lawyer said Wednesday. No criminal charges have been filed against Tomas Yarrington, who served as governor of Tamaulipas state, which borders Texas, from 1999 to 2004. Civil actions were filed Tuesday seeking to seize a condominium in South Padre Island and a 46-acre (19-hectare)property in San Antonio that the government says were bought with drug money. Lawyer Joel Androphy told The Associated Press on Wednesday that Yarrington has no connection to the properties and suggested that other targets of federal investigations have implicated the ex-governor to improve their own situations. "Obviously desperate people say desperate things and obviously there are desperate people using his name for some sort of their own personal gain and that is just not true," Androphy said. Androphy said he could not comment on Yarrington's location, but said rumors he had been detained were not true. Yarrington also served as the mayor of Matamoros, across the border from Brownsville, from 1992 to 1995. Matamoros has been the headquarters of the Gulf cartel. The forfeiture case filed in Corpus Christi alleges that Yarrington used a Mexican businessman who'd had contracts with the city of Matamoros and Tamaulipas to be the official buyer of the $450,000 condominium in South Padre Island in 1998. The property was placed in that man's name to avoid detection by law enforcement, prosecutors allege. Yarrington paid for the condo entirely with drug proceeds, according to the forfeiture case, and has used it since 1998. Documents filed in the San Antonio forfeiture case note that the details of that transaction remain under seal, but a statement from the U.S. Attorney's Office alleges that the 46-acre (19-hectare) property also was obtained with "illicit funds" by Yarrington and others. Androphy said that wasn't true. "He has no connection to the property directly or indirectly," he said. "Anybody can put anything down on a piece of paper," Androphy said. "There isn't any proof connected to it. He refutes it all." The campaign chief of Mexico's Institutional Revolutionary Party said Wednesday it condemns the corruption attributed to Yarrington, who ran for the presidential nomination for the party - known as PRI - in 2005. PRI campaign chief Luis Videgaray told local media that Yarrington should appear before courts to answer the allegations. The PRI's presidential candidate, Enrique Pena Nieto, is leading his two main opponents by double digits in opinion polls ahead of Mexico's July 1 election. His rivals, particularly the candidate of the current ruling party, have tried to dent his lead by accusing the party of maintaining decades-long corrupt ties to organized crime and cited the Tamaulipas cases as prime examples. Yarrington was named earlier this year in the federal indictment of Antonio Pena Arguelles, who was charged with money laundering in San Antonio. That indictment alleges that leaders of the Gulf and Zetas cartels paid millions to Institutional Revolutionary Party members, including Yarrington. An affidavit filed in that case said the U.S. Drug Enforcement Administration had obtained ledgers documenting millions of dollars in payments to Yarrington's representatives. It accused Pena of using U.S. bank accounts to funnel millions to Yarrington from leaders of the Gulf and the Zetas. Confidential informants said the money was to buy political influence in Tamaulipas. Yarrington declined to comment when contacted by The Associated Press in February regarding those allegations.